6:00 p.m. ~ 8:00 p.m. Reception ~ 6:00 - 7:00 p.m. Program ~ 7:00 – 8:00 p.m. 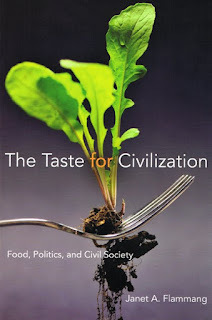 The book explores the idea that table activities – the mealtime rituals of food preparation, serving and dining – lay the foundation for a proper education on the value of civility, the importance of the common good, and what it means to be a citizen. Tickets $25 for members, $30 for the general public. 2011 membership list is available online here. Join when you purchase your ticket and save $5! View and download flyer with RSVP form here.